Food Surplus Management are based in County Meath and are an Irish owned company. They specialise in the recovery and recycling of short dated and out of date products and packaging for the manufacturing, wholesale and retail food and drinks industry. FSM had a number of older trucks on hire and due to the expansion of their business and the relocation of one of their sites they needed to replace the older trucks with new ones. 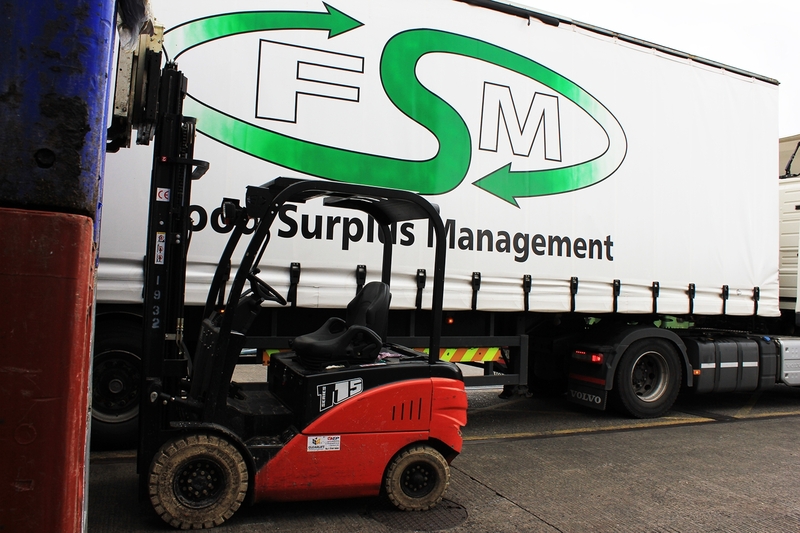 FSM operations involve the collection, unloading, processing of food and drink products at their facilities. The material handling equipment they needed had to be reliable, manoeuvrable and efficient. FSM decided to take two of EP’s, new model, counterbalance electric trucks (CPD-20F8) and an EP counterbalance diesel truck (CPCD-25T9/S4S) on hire. All trucks were fitted with non marking tyres and rotator attachments.